Strong lead prevents breakage and provides a longer writing life. Mini, 3 1/2 inch size. 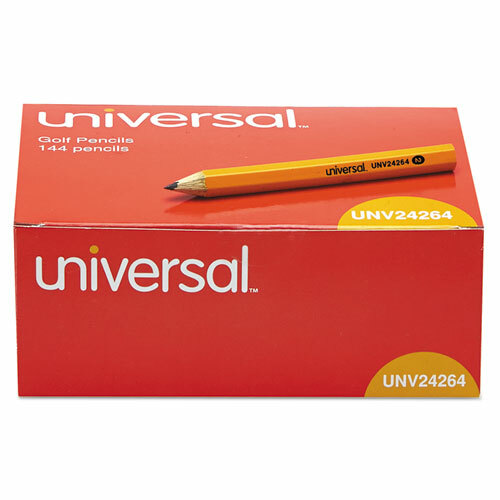 Presharpened pencils allow you to get right to writing. Pencil Type: Golf; Pew; Lead Color(s): Black; Barrel Color(s): Yellow; Refillable: No.